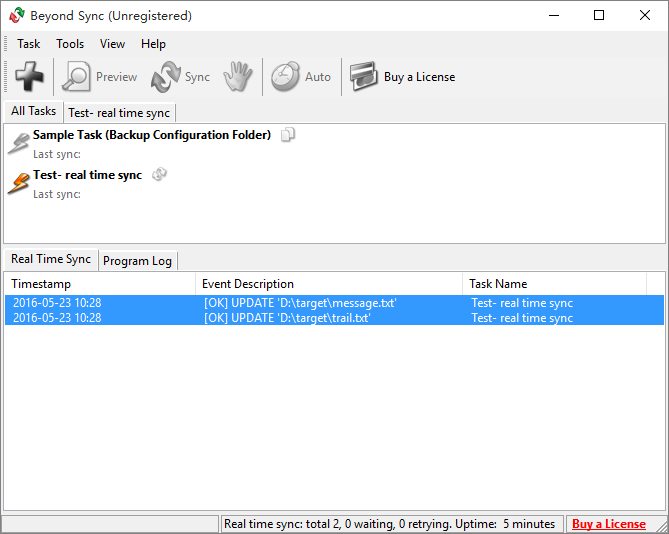 The real time file sync is a very attractive feature in Beyond Sync. Your files will be synchronized as soon as they are updated! It's powerful and effective, and luckly, it's also very easy to use. Simply click "Task->Enable Real Time Sync" and that's it. You can also watch a demo to see how it actually works.